In the most recent issue of the New Yorker, Adam Gopnik provides a timely analysis of recent attempts to secularize Buddhism. Though that might sound like something you’re unfamiliar with, if you’ve ever used the Headspace app, attended a mindfulness meditation workshop, or were urged to focus on the present moment for one minute, you’ve experienced some of the fruits of the process Gopnik is describing. Advocates for this approach to Buddhism, such as Robert Wright and Stephen Batchelor, see the core of Buddhism as a rational philosophy that can be “proven” by using modern science. In this philosophy, mindfulness meditation and returning to the present moment becomes a tool to manage stress levels. Shakyamuni Buddha becomes a scientist, enlightenment philosopher, or psychologist. But does their [Wright and Batchelor’s] Buddhism have a unique content, or is it simply the basics of secular liberalism with a borrowed Eastern vocabulary? What is the specifically Buddhist valence of saying, as Batchelor does, that the practitioners of a secular Buddhism will “seek to understand and diminish the structural violence of societies and institutions as well as the roots of violence that are present in themselves”? Do we need a twenty-five-hundred-year-old faith from the East to do this—isn’t that what every liberal-arts college insists that its students do, anyway, with the help of only a cultural-studies major? Despite the strength of this question, Gopnik does not really go much deeper into it, instead ending somewhat weakly by praising meditation as a practice that can make you “somewhat less irritable” and can help us deal with the fundamental fact of life: that we will eventually lose it. If a Buddhist Newton had been sitting under that tree, he would have seen the apple falling and, reaching for Enlightenment, experienced each moment of its descent as a thing pure in itself. Only a restless Western Newton would say, “Now, what story can tell us best what connects those apple-moments from branch to ground? Sprites? Magnets? The mysterious force of the mass of the earth beneath it? What made the damn thing fall?” That’s a story we tell, not a moment we experience. The Buddhist Newton might have been happier than ours—ours was plenty unhappy—but he would never have found the equation. Science is putting names on things and telling stories about them, the very habits that Buddhists urge us to transcend. The stories improve over time in the light of evidence, or they don’t. It’s just as possible to have Buddhist science as to have Christian science or Taoist science. But the meditator’s project of being here now will never be the same as the scientist’s project of connecting the past to the future, of telling how and knowing why. (2) A Buddhist Newton can also focus on cause and effect. But a meditating Buddhist Newton would not. The term Buddhism is thus used (1) almost synonymously with meditation (I am a Buddhist, therefore I meditate) and (2) as a broader term inclusive of people can meditate but also focus on cause and effect. But they cannot do both at the same time. The first (1) understanding is that of many people in the United States and Europe, for whom Buddhism is inextricable from meditation, an effect of the secularizing movement Gopnik describes. This is a misunderstanding that is quite widespread. As any one who has visited Asia knows, most Asian Buddhists meditate very little to not at all. And the historical record indicates that things were not very different in the past. The second (2) understanding is a little more accurate. If Gopnik understands science as a form of storytelling that links cause and effect, and if he then argues that science is incompatible with meditative experience, then Buddhists have lived with this incompatibility for millennia. We don’t even need to consider volumes upon volumes of Buddhist philosophy to understand this. Indeed, what many consider the core teaching of Shakyamuni, the “Four Noble Truths,” is nothing but an account of cause and effect, starting from the effect (we suffer) and going back to the cause (we desire). Without accounts of causes and effects, Gotama would have no reason at all to even recommend meditation via the Eightfold Path. Furthermore, investigate your body from the soles of the feet upward, and from the hair on the head downward—this body wrapped in skin, full of the various kinds of repulsive features. Investigate as follows: In or on this body of mine, there is head hair, skin hair, nails, teeth, flesh, tendons, bones, marrow, kidneys, heart, liver, diaphragm, spleen, lungs intestines, bowels, stomach, excrement, bile, phlegm, pus, blood, sweat, fat, tears, oils, saliva, mucus, joint fluid, and urine. 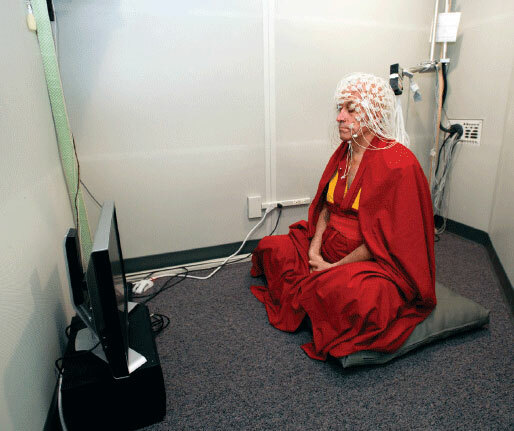 One can see why this aspect of meditation might not make it into the meditation workshops of Silicon Valley start-ups. Yet for Shakyamuni, this investigation of the body is essential, as it allows individuals to investigate the Four Noble Truths for themselves: when you closely examine the body, you see that it is disgusting and decaying, and thus you won’t get to attached to it, curb your desire, and continue to walk the Eightfold path. This investigation is at heart a consideration of cause and effect. It is a careful, detailed, study of your own body. Thus, contrary to what Gopnik’s Newton allegory implies, a “Buddhist Newton” could very well meditate and think about causes and effects. Therefore, if Wright and Batchelor justify their “secular” Buddhism with recourse to narratives of cause and effect (in their case scientific narratives), they are in fact no exceptions in a long Buddhist tradition that held such narratives as essential to deep understanding. Gopnik is right to note that the project of “tiptoe[ing] past the elaborate supernaturalism of historical Buddhism” is problematic, but he does so for the wrong reasons. The real problem with such projects is that they tend to discard the rich cultural heritage of a Buddhism that sought to liberate all living beings from suffering in favor of a Buddhism for which the ultimate goal is becoming, to repeat Gopnik’s words, “somewhat less irritable.” The focus has shifted from helping everyone (and using meditation as a tool for that), to becoming more productive at your job while cultivating indifference to the suffering of others (as Antonio Damasio suggests in another response to Wright’s book). Moreover, the tossing out of Buddhism’s rich cultural heritage in favor of a meditation practice based on science carries other dangers. In Buddhist practice, meditation is powerful voodoo, only to be practiced by advanced monastics (significantly, Shakyamuni does not tell his lay followers to meditate, and it is unlikely that they did). For meditation is not just peacefully blissing out. It can involve, even when practiced as mindfulness, coming face to face with your worst fears, your darkest desires. It can, as Gopnik recognizes, be a profoundly unpleasant experience. Buddhism, with all its “elaborate supernaturalism,” has a rich arsenal of tools to guide those few and brave meditators, but sadly one does not read much about these tools in contemporary mindfulness manuals. If we are to continue to advise people to meditate, we ought to take more seriously Buddhism’s “elaborate supernaturalism.” It may not be scientific, but it has served to guide spiritual seekers for millennia.